A relatively new procedure has come to complete the spectrum of weight-loss and metabolic procedures, offering a satisfactory and long-standing solution to morbid obesity. It’s called the Mini Gastric Bypass (MGB) or otherwise known as Long Loop Gastro-Jejunostomy. During this laparoscopic procedure, a small gastric pouch is attached to a segment of the small bowel, allowing the food to bypass the part of the intestine which is responsible of the absorption of high molecular structures such as carbohydrates and fat. The long-term effects are permanent weight loss of more than 75% of the body’s excess weight, treatment of diabetes and hypertension. 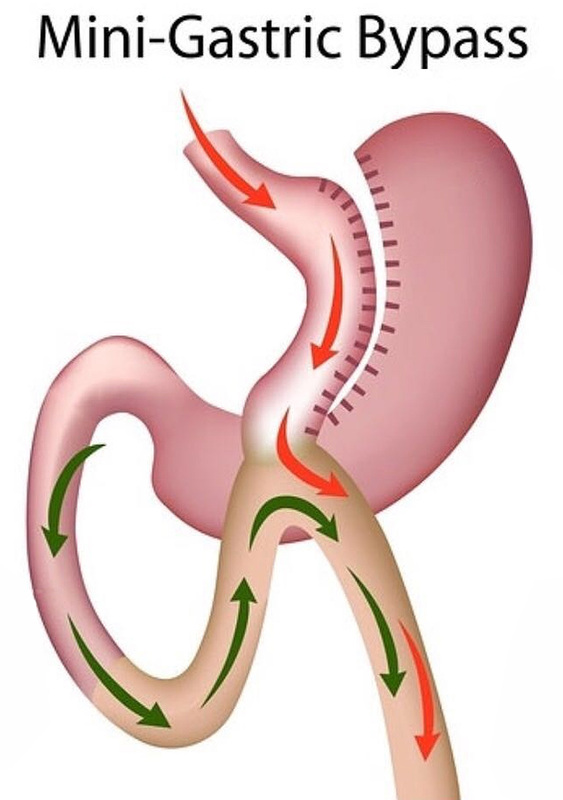 The procedure has revolutionized the way we see malabsorption obesity surgery because patients that undergo this procedure need only 24 hours of observation during hospitalization as well as they feel just a mild discomfort immediately after surgery. It combines all the beneficiary effects of R& Y Gastric Bypass i.e. the minor need for observation, short- and long-term risk of complications after a Gastric Banding placement. Feeling full with smaller amounts of food due to the small volume of the stomach pouch. No foreign “bodies”, as in the Gastric Banding, are implanted. Patients lose gradually all their excess body weight, during the next 12-15 months. Comorbid disorders, such as type II diabetes, high blood pressure, high cholesterol and sleep apnea are more than likely resolved. Only 24 hours of hospitalization is needed for observation. Patients have to supplement their diet with a daily multivitamin and calcium. Some patients need to take vitamin B12 and/or iron. It is said though that the vitamin deficiency seen in MGB patients is not as extended as in RYGB patients. A condition known as dumping syndrome can occur from eating high-fat, high-sugar foods. Once again the severity of the “dumping” symptoms is smaller in MGB patients than in RYGB patients. Although well documented, the very long-term effects of the procedure are still to be determined, hence the newest procedure in the arsenal of Weight Loss Surgery.